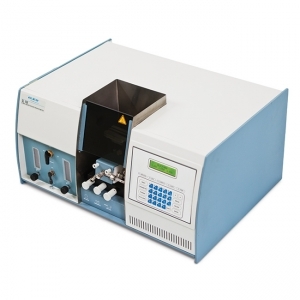 Czerney Turner 300 mm with 1200 lines/mm Holographic Grating of High Density Hard Coded Optics. With Instrument 100 mm burner for Air - C2H2 , Nebulizer with SS Capillary, Back Ground Correction with D2Lamp, Oil free Air Compressor with 100% Dustfree Air Filter, Acetylene (C2H2) regulator with Flashback Arrester. At extra Cost 50 mm burner for N2O2 - C2H2 , Nebulizer with Pt - Ir Capillary, N O Regulator, Nitrogen Regulator, HC Lamps for desired Elements, Hydride and Cold vapour Generator, Printer, Computer, PC Software, Exhaust Fumehood Chamber, Servo Controlled voltage Stabilizer of suitable rating, Acetylene Gas Cylinder, Nitrous Oxide Gas Cylinder and Nitrogen Gas Cylinder.